Keeping Your Kids Safe In The Kitchen - I Am Proud Of My Kids! Having your kids in the kitchen can be fun and educative at the same time. However, you need to be vigilant at all times because all the fun can turn into chaos in a few seconds. The risk of fire, food poisoning, and other unexpected hazards leaves no room for taking risks in the kitchen. The little forgetful minds cannot handle even the simplest instructions. Keep reminding them about the danger that lurks so that they don’t get carried away. Fire is the greatest risk of all in the kitchen. Fire can be dangerous and not just for children. Keep the fire equipment clean at all times. Stain-free equipment will reduce the curiosity to touch. Strictly avoid deep frying when they around. Ensure that they are clothed for the kitchen. Long sleeves and dresses can catch fire easily. They should not get too close to the oven. Even when they want to help, do not let them hold pots even with potholders. Children are so sensitive to dirt. Ensure that your hands are clean before handling food. Do not let them eat raw dough. Keep all kitchen chemicals away from their reach. 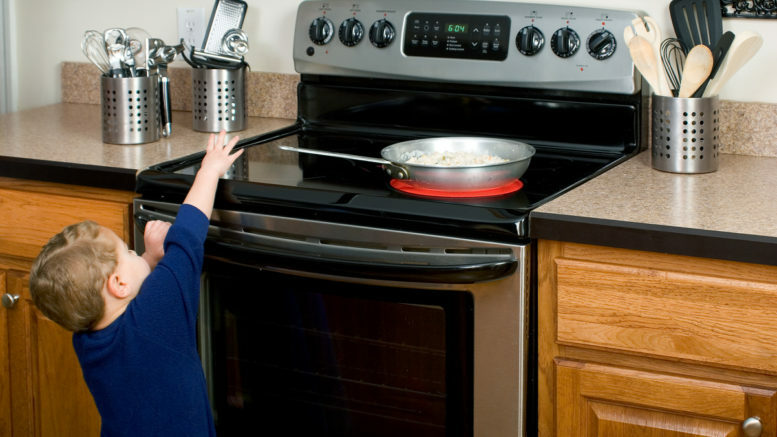 Avoid letting your kids handle kitchen objects that might fall and break. If you want them to help you in chopping, let them use butter knives. Make sure that all electric devices are unplugged when not in use. Slippery floors can be hazardous. To avoid this, do not let them run around in the kitchen. Wipe floor spills immediately. Be the first to comment on "Keeping Your Kids Safe In The Kitchen"